Now Byron have finally opened in Greenwich, a search for the best burger in town was on the cards (tough gig, I know). Luckily, bars and restaurants in Greenwich offer a tasty burger indeed. Here are three of the top restaurants and a little look at how their cheeseburgers compare. I've been not all that patiently waiting for them to open and I'm thrilled they have. My burger (pictured below) was very slightly overdone, as was the service - so keen were they to impress at their soft launch, they told my dining companion the dessert options while I was still eating my burger. The loitering got a little much after a while, but I'm hoping it's just soft launch teething problems. I do love their burgers. And I love the American cheese option. You can eat well for a little over a tenner and don't even get me started on those courgette fries. They're sprinkled with breadcrumbs and magic. The burger itself was impressively sized for less than ten quid but came in a homemade bun that was a bit small for my liking. I'm also never going to be convinced that tarragon mayo works with beef. Excellent pickle action, though - I'm all about slices, not wedges. But the fish and chips my companion had? That looked divine and was giving me serious pangs of lunch envy. Some of the best batter action this side of the river. I'll go back for lunch (it's £12 for two courses and £14 for three - just try and stop me), but the burger might not be my first choice. Oh yes. This was a tasty, tasty burger. Probably my favourite, actually. It was pricy - £10.75 and an extra £1 for cheese. And erm... an extra quid for pulled pork as well. I couldn't resist. I had to. The burger is a little soggy and difficult to eat, but I don't care because it was perfectly cooked to medium and tasted fantastic. Alas, there's no photograph because they took 'romantic' lights to a whole new level. We basically ate in the dark. Still, that's not going to stop me from coming back for a burger. I'll just pop in during the day so I can actually see. And the rest? Greenwich Union's is tasty but very pricy once you factor in that they ask an extra £2.50 for cheddar (seriously GU dudes, that's not cool). Rivington's is always a fine option - the burger is tasty but it's their chips and that smoky ketchup that will keep a smile on your face but they've got so much choice on the menu you're likely to pick something else (probably roast potato based). As for GBK... well they're not entirely terrible are they? But with so many decent options locally, I can't help think they're punching above their weight a little now. The verdict? If you fancy a pint with your burger, go to the Old Brewery. If you have kids or like milkshakes head to Byron. Lunchtime? Go to the Guildford Arms for their lunchtime menu. What do you think? What's the best burger you've had in Greenwich? THERE will be laughs aplenty when the Greenwich Comedy Festival returns this summer. Part of the Greenwich Festivals season, the comedy spectacular will take place from 13th to 20th July. 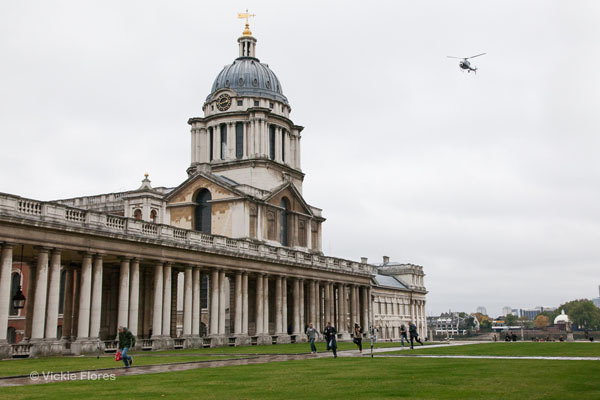 It's the festival's fourth year and it will again be held in the grounds of the spectacular Old Royal Naval College. The line-up includes some of the biggest names in stand-up comedy such as Sean Hughes, Rufus Hound, John Shuttleworth and Stephen K Amos. Also performing will be Reginald D Hunter, Arthur Smith, Dylan Moran, Jerry Sadowitz, Sean Lock, Andi Osho and Andy Parsons. 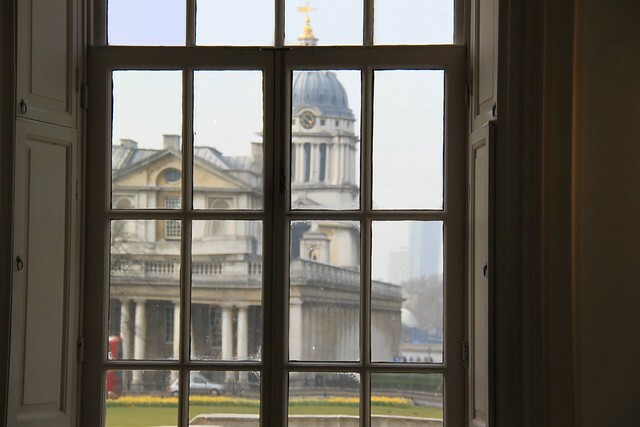 Here's a photo of the Old Royal Naval College from behind a window in the Queen's House. 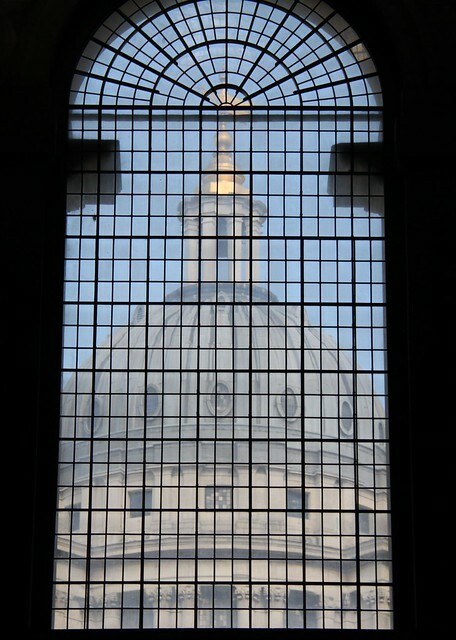 Step inside the Painted Hall below the dome in this photo and then look up at the window behind you to see the dome above the college Chapel. 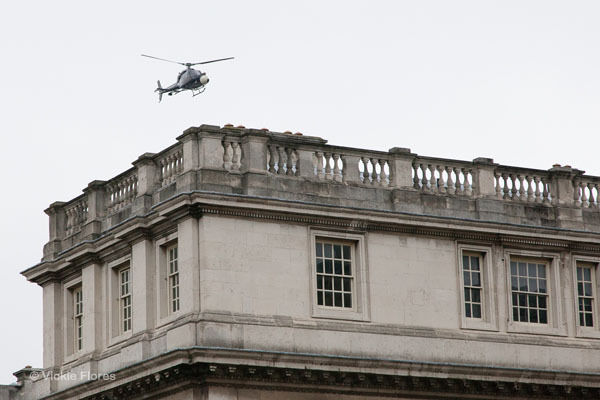 FILMING took place in Greenwich today for the next James Bond film, which will be called 'Skyfall'. 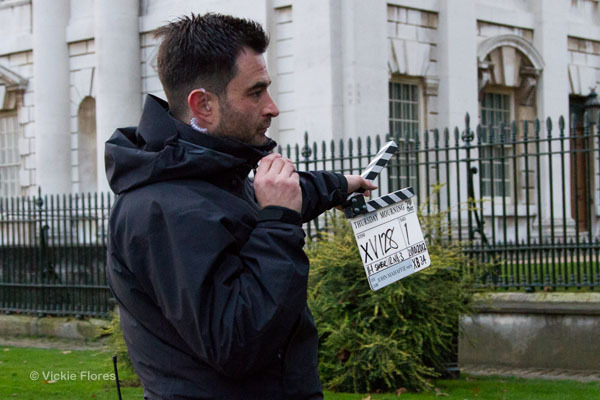 The ever-popular Old Royal Naval College has been chosen as a location for the Sam Mendes-directed movie which is slated for release in November this year. Twitter user, @wiilassie, said she "saw five hearses with union flag-draped coffins being moved this morning". Neil Sinclair reports on Footprints of London website that the King William Undercroft, under the Painted Hall, became a "make-believe morgue" with "eight coffins draped in union jack flags and arranged in two neat rows." 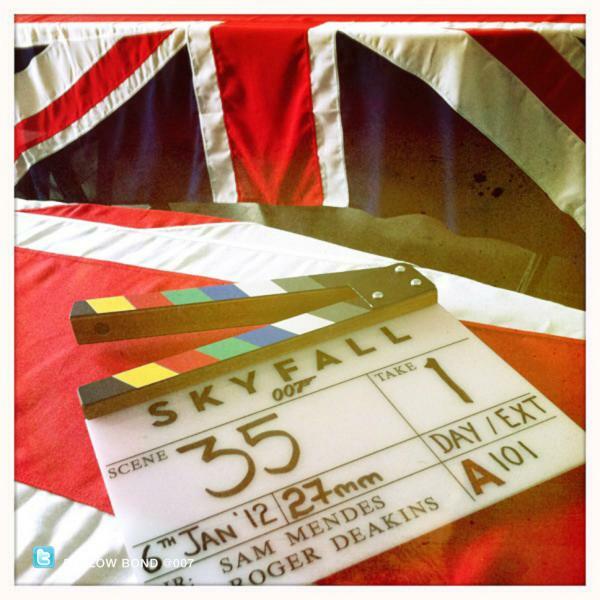 Daniel Craig returns for his third outing as James Bond and Javier Bardem is set to be the film's villain. 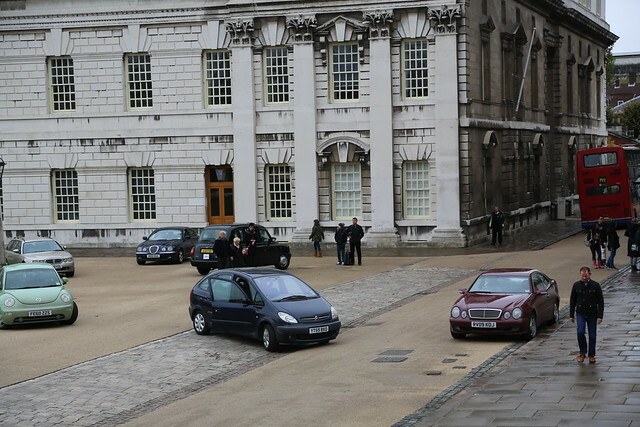 The filming of funeral scenes at the Old Royal Naval College coincide with the anniversary of Nelson's funeral - his coffin was kept in the Painted Hall between January 5th - January 7th 1806. 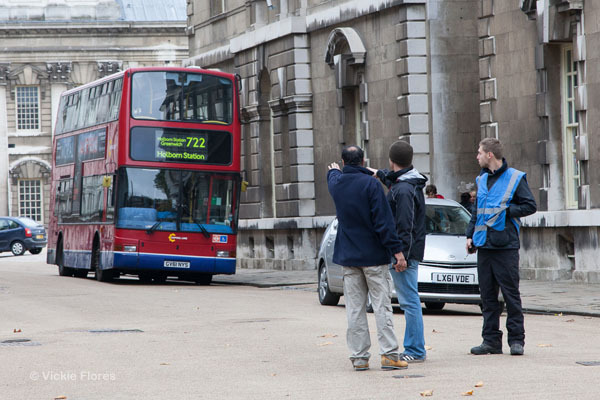 This photo was posted to the official James Bond twitter account after they filmed in Greenwich. 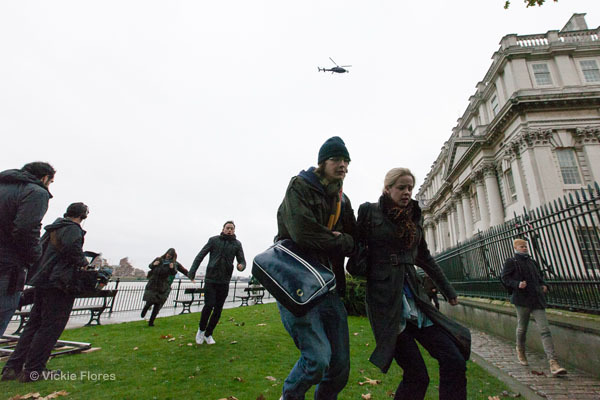 Local independent tour guide, Neil Sinclair, is leading a walk in Greenwich this Sunday and the following Sunday where you can learn more about Greenwich's starring part in many feature films. The Greenwich Comedy Festival returns to Greenwich later this summer. 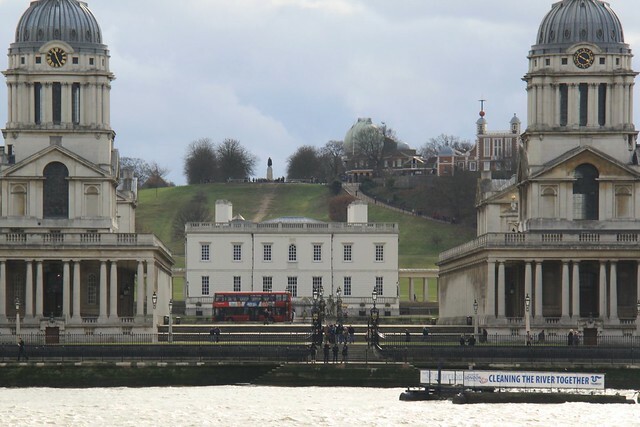 The Festival, part of the Greenwich Festivals series, will pitch up its Big Top in the grounds of the historic Old Royal Naval College once more as some of the country's top comedians entertain the crowds. Greenwich Comedy Festival takes place from September 5th - September 11th and the confirmed comics include Arthur Smith, Sean Lock, Kevin Eldon, Tim Minchin, Phill Jupitus, Adam Buxton, Micky Flanagan and Seann Walsh. Thanks to Gordon Coster for this photo of a rather valuable looking table being moved in the grounds of the ORNC.